I had to grab the calendar this morning to see what the date was and I couldn’t believe it was already the 18th. I have to admit, the clues were all there, I did my time card on the 15th, but it didn’t register that August was nearly half gone by then. Two more work weeks and then Labor Day, most universities begin classes this week, most county schools open next week; summer officially has about five weeks left, but we all know back to school spells the end of lazy days and starry nights. 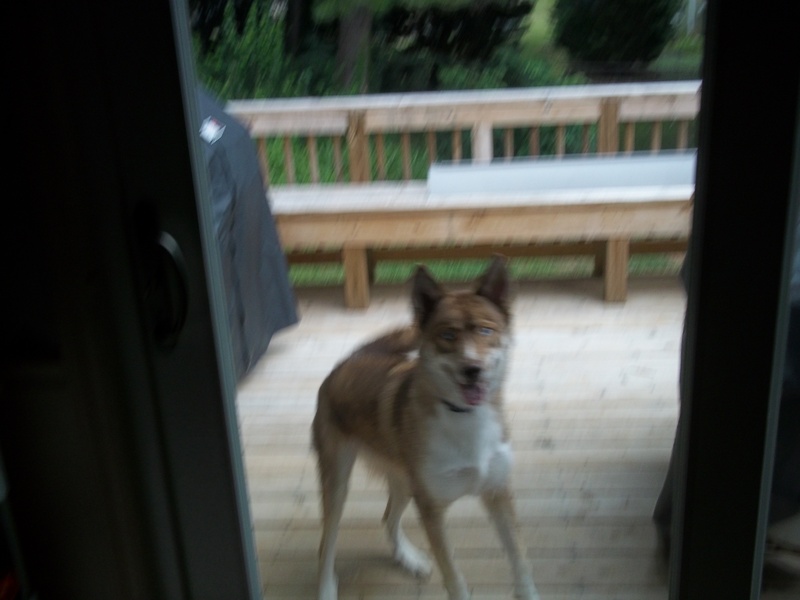 A blurry picture of Fasa, my other neighbor. It’s been an odd summer. Much cooler than last summer and the summer before, at least I don’t think we’ve had the temperature officially hit 100 degrees this summer; although, my thermometer flirted with it one day a few weeks ago. Don’t get me wrong, it’s been some God awful humid and sticky on some days, but temps have been lower and it has been much wetter than a normal Carolina summer. As hot as it was last summer, Dudley and I managed walk every day and many days a summer storm would blow through and cool off the day just in time for our walk. I sure do miss my handsome, sweet boy! Dudley sure was a happy boy back in June 2012! Depending on your source, the term “Dog Days” encompasses the days between early July to early September. They were the days that Sirius, the Dog Star, rose the same time as the sun. Many considered Dog Days to be an evil time, “the Sea boiled, the Wine turned sour, Dogs grew mad, and all other creatures became languid; causing to man, among other diseases, burning fevers, hysterics, and phrensies.” according to Brady’s Clavis Calendaria, 1813. For the most part, I’ve managed to contain my hysterics and frenzies, but there have been days that I did want to succumb to them! Fasa stopping by to say hello! Overall it’s been a good summer, I’ve spent time with Lillie, Sweet Pea, Kenzie and Bourbon. 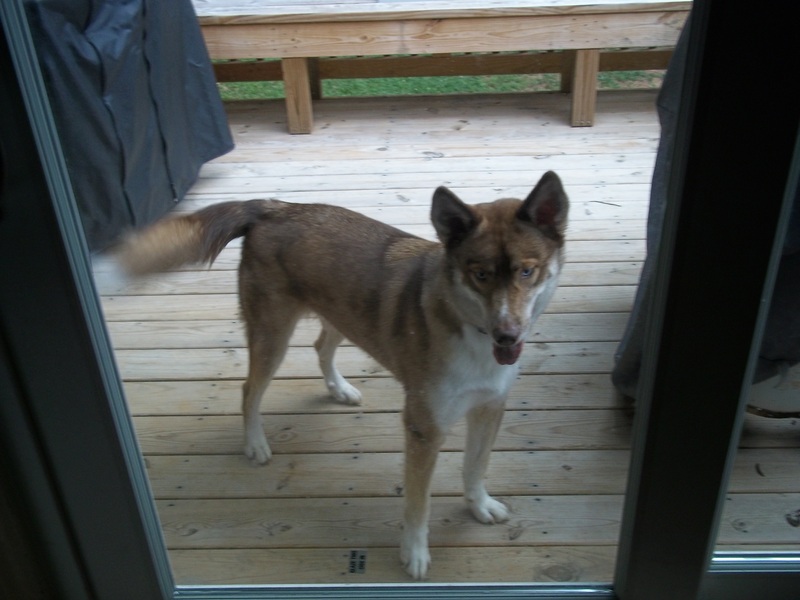 Fasa has come over a few times and he’s a lot of fun. I’ve had both of my bathrooms updated, I’ve put in hardwood floors (well, I still have a few rooms left to do, but after Labor Day that will commence again) and after Labor Day, I’m having my yard seeded and a bunch of mulch delivered to extend the natural area in my yard. I think by November I’ll be ready for my very own dog again. I can hardly wait! Shoeful of Drool is going to continue on the bi-weekly schedule until Labor Day — I figure if Congress can take off 5 weeks, I can work an abbreviated schedule, too. Please check out our Facebook page and twitter @Shoefulofdrool. 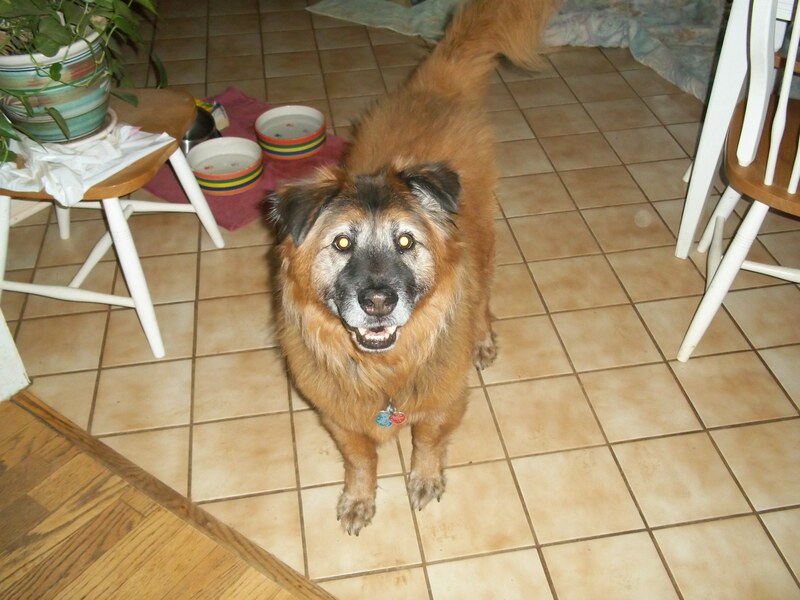 This entry was posted in Uncategorized and tagged animals, canine, Dog Star, dogs, Dudley, Sirius, summer. Bookmark the permalink.